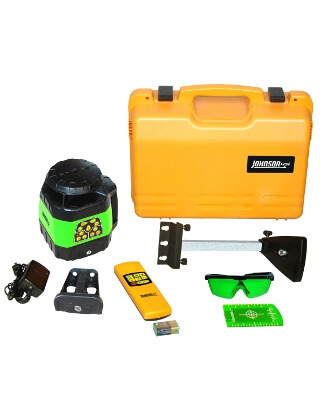 The Johnson Level Electronic Self-Leveling Horizontal & Vertical Rotary Laser Kit with GreenBrite Technology - 40-6544 has horizontal and vertical technology that is superior for indoor construction laser leveling. Construction contractors, finish carpenters and builders will truly enjoy this rotary laser level for the visibility and accurate leveling it provides. 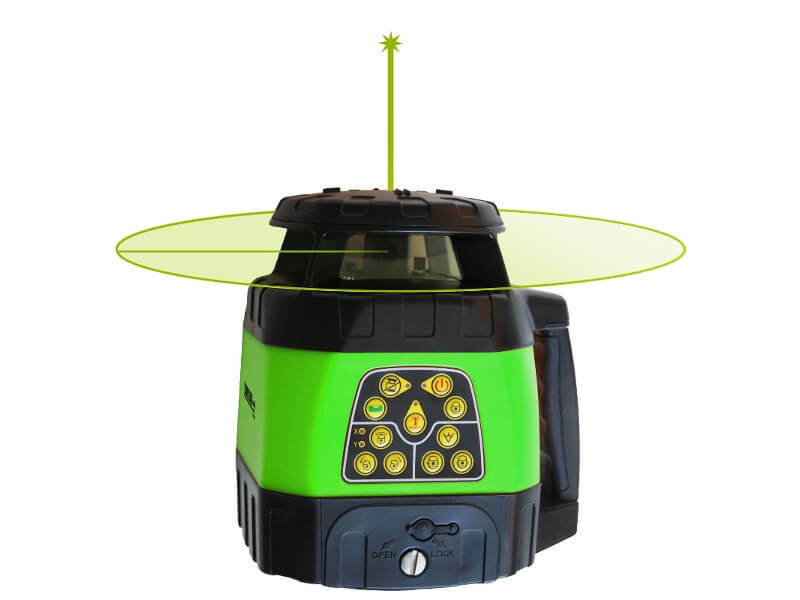 Electronic self-leveling both horizontally and vertically, with the Green Laser Beam is 400% more visible than red beams this rotary laser makes leveling tasks fast and accurate. The Johnson Level 40-6544 rotary laser can be used for a number of indoor applications including Layout of interior walls, Checking door and window height, installing Acoustical/Drop ceilings, developing a layout for warehouse racking, Room additions, Drywall installation and more.